You can exit groups and return to the complete node system. In the Node view, click the destination in the Group Hierarchy menu. You can also select Nodes > Exit Group from the Node menu. 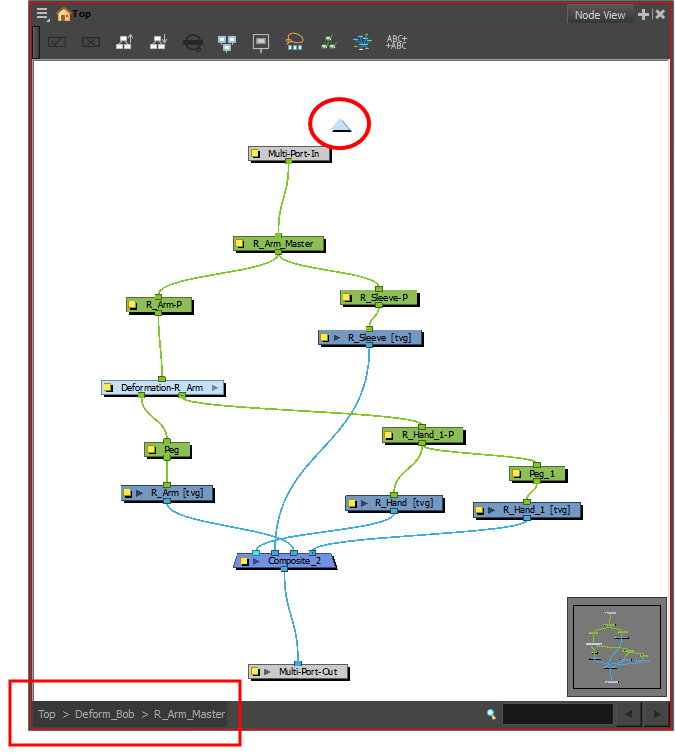 ‣ You can click on the top blue arrow in the Node view to exit the current group. ‣ When you enter a group, the Group Hierarchy menu displays the path to where you are. In this example, we are inside the group named Deform_Bob. To exit this group, click Top at the bottom-left corner of the Node view.